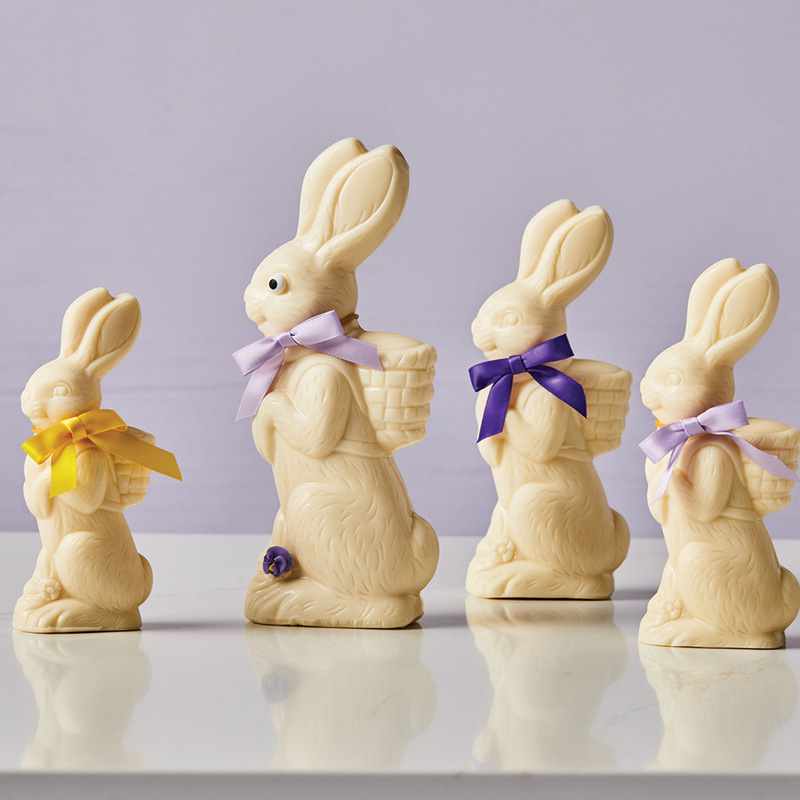 An Easter classic, our solid Standing Bunny is available in a variety of sizes to accommodate any size basket. Decorations may vary. Available in milk, dark and white.